– A Showcase Featuring Independent And Unsigned Artists From All Over The Globe. We give Indie artist a chance to shine with Live interviews. 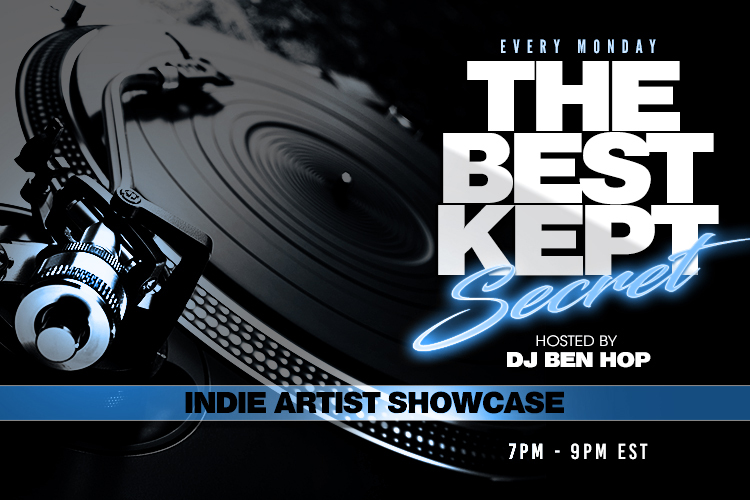 Whether you’re a Hip Hop, R&B, Reggae or Pop artist its your time to shine on the Best Kept Secret. Want to be a featured artist on the show? Submit your music for review and DJ Ben Hop will contact you if your music is accepted as a feature for the show. Go here to submit music. Play GUCCCI GOGGLES- I NEED A JAWN !! !